Soak together in plenty of water overnight. Drain water, add a couple of cups of fresh water and blend together in a high speed blender till smooth. Cover the batter and leave it in a warm place to ferment for a few hours. Add salt and a little water , if required, to make the batter like pancake batter consistency. 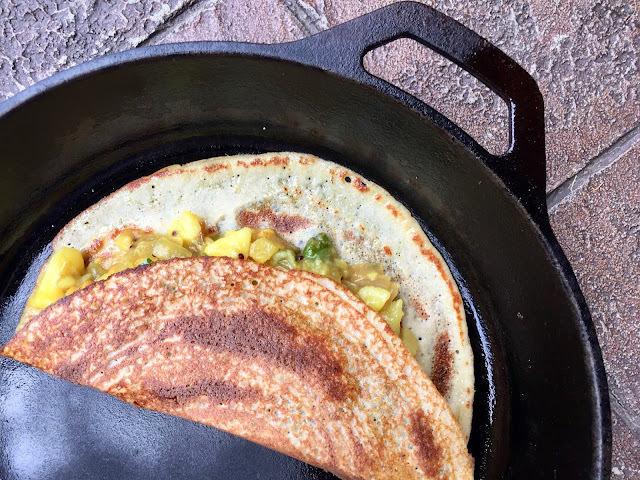 Make crepes on a cast iron skillet. Serve with potato curry or any curry of your choice.